One question active traders too often fail to ask is, "What would I be doing with my life if I weren't trading?" We're familiar with the direct costs of trading, such as the expenses we incur for software, commissions, and the like. Less clear are the indirect costs--and especially the opportunity costs--associated with trading. When we're glued to screens, there are many activities we cannot participate in. Some of those activities may represent areas of strength, ones where we could excel and contribute. I meet many traders who limp along in their profitability, afraid to ask the big questions, because they not sure what they would do with their lives if they weren't trading. They justify trading as a "passion", when in fact it's a black hole that has sucked them in so far that they cannot see an alternative future. Is your trading giving you the financial and emotional returns you desire? Are you a better person for your trading, or does trading interfere with relationships and other important parts of life, such as your physical fitness and emotional well-being? Are there things you could--and maybe even should--be doing in your life that can't be accomplished because trading gets in the way? 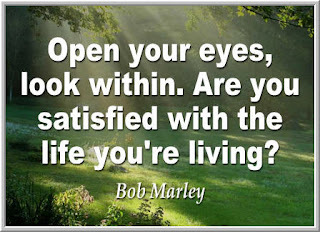 Per Bob Marley's question above, are you truly satisfied with the life you're living? Most traders ask how they can become better traders. Few ask whether they truly should be trading. Sometimes the answer is not trading versus not trading, but figuring out how to make trading fit into your life, rather than fitting your life to markets. When I developed a medium term trading model, I discovered that opportunity is asymmetrically distributed during any given year. There are stretches of time with little opportunity, other periods with more opportunity, and a few periods with unusually good opportunity. It's possible to participate during occasions with high opportunity, profit from markets and market involvement, and still have a life for a fulfilling career, family, and personal pursuits. The goal is not to be a profitable trader. The goal is to profit from the life you live. Are You Operating in Peak Performance Mode?